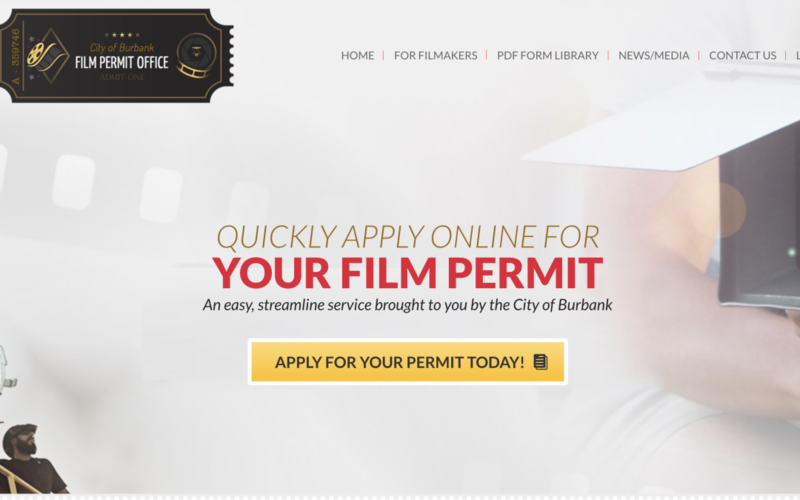 The City of Burbank Film Permit Office is a collaborative effort between the City’s Police, Fire, Parks & Recreation and Public Works Departments. The Office is responsible for issuing, monitoring and maintaining the CIty’s film permits. The Office did not have a website, logo or any online presence. The permit process was also completely paper driven. Created a custom film permit module that allows users to complete the process 100% online. Once a permit is approved by the Office and payment is processed successfully, the user is able to download a PDF permit.